"This is the chill-out as a state of grace, and it can go as deep as you like. Sublime," wrote the Independent on Sunday of the Gustavsen's trio's Being There, released in 2007. 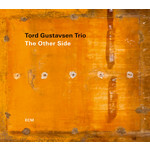 Over the last decade Tord has explored other ensemble forms and formats, but on The Other Side - recorded at Oslo's Rainbow Studio in January 2018 - he opens a new chapter in his piano trio story, with faithful drummer Jarle Vespestad, and excellent new bassist Sigurd Hole. Hole's approach to his instrument, drawing on folk influences as well as modern jazz, is ideally suited to Gustavsen's slowly-developing, deeply melodic pieces.